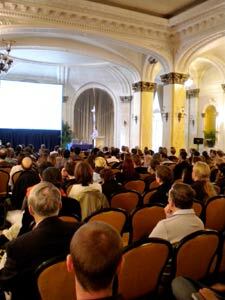 Chamonix can offer conference facilities for up to 400 people (capacity of the plenary hall of the congress centre). This number allows us to provide a made-to-measure events plan and ensure full an complete operational management of all your requirements.
. Since 1091, Chamonix changed from dukedom to kingdom according to treaties and annexations between the actual Switzerland, Italy and France. In 1860, Chamonix became french and got the first surfaced road from Geneva in time for the visit of Napoleon III. 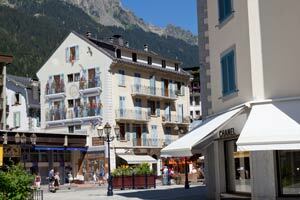 1741 saw the beginning of tourism in Chamonix. The first inn opened its doors 30 years later and other hotels followed. At the beginning of the 1900s, during the Belle Epoque, luxury hotels were built to accommodate the aristocracy (Le Majestic, now the congress centre, The Chamonix Palace, now the Alpine Museum ; and Le Savoy, now a Club Med resort). 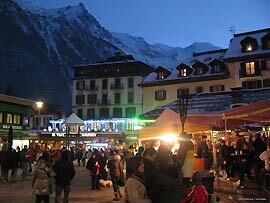 At first, people only visited Chamonix during the summer; however, it soon became a winter resort and was the venue for the first Winter Olympics in 1924. In the meantime, the first lines of Chamonix’s history of mountains and mountaineering were being written. In 1786, two Chamoniards reached the summit of the Mont-Blanc. These mountains and glaciers were believed to be bewitched but scientific interest soon led to numerous expeditions and the construction of the very first high-altitude observatories, forerunners to mountain refuges. With ever-increasing visitor numbers, mule-drivers,the inn habitants grouped together to guide them through the mountains. This resulted in the formation of the Compagnie des Guides in 1821. Throughout its history, the Chamonix valley has welcomed many famous people, including Goethe, Chateaubriand, George Sand, Victor Hugo, Théophile Gauthier and Louis Pasteur who have all written moving and passionate accounts of their visits. Since then, explorations, ascents and other challenges have followed, making Chamonix the mountaineering capital of the world. Roger Frison Roche made Chamonix his home base and remained a fervent ambassador throughout his life. Chamonix’s strong links with the scientific and medical worlds began in the 18th century: first experimental expeditions, construction of high-altitude observatories, theory on the major glaciations of the Quaternary period.